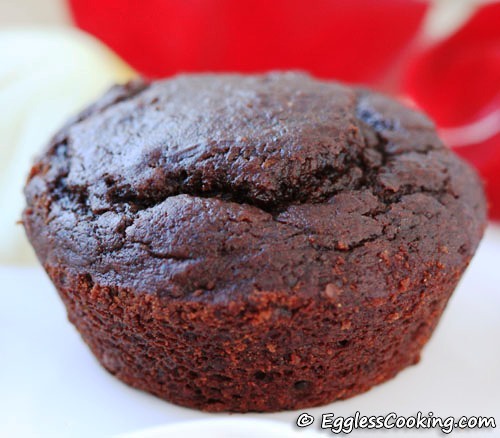 Yes, unlike the usual chocolate cupcakes these cupcakes are rich in fiber and protein. 18gms protein and 21gms fiber in total! Wondering how? One and half cups of pureed black beans is mixed with the batter and the beauty is, you wouldn’t taste the black beans or anything different! You can make these cupcakes even more healthy by using whole wheat pastry flour instead of all purpose flour. 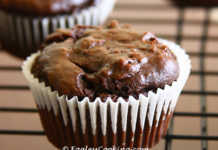 I adapted this black bean chocolate cupcakes recipe from the book Vegetarian Times Fast and Easy. I made a couple of changes to make it vegan. Like the other healthy cupcake which I baked earlier, these vegan chocolate cupcakes taste very good the day after baking. I baked these yesterday and I when I tasted soon after it cooled I felt that something was missing, maybe sweetness. 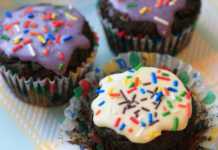 But today the flavors were complete, it had the perfect amount of sweetness and tasted like any other ordinary cupcake. Chocolate cupcakes need not be a forbidden snack anymore! It can be healthy and tasty as well. 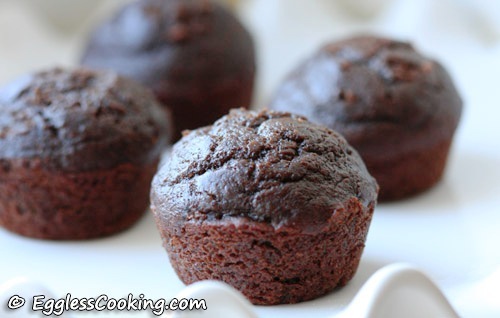 Check out this cupcake recipe which uses a good quantity of pureed black beans. Preheat oven to 375F for 15 minutes. Grease or line with paper liners 1 regular size muffin tin and 1 mini muffin tin. Drain the black beans from the can, rinse it well under running water and puree it in a food processor/blender using approximately 1/4 cup of water. 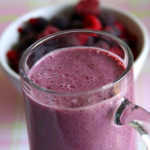 The puree should be very smooth without any lumps. To this also add the sugar, prune puree, 2 tablespoons of water, canola oil and vanilla extract. Process/blend it again for another 2-3 minutes. Transfer it to a large bowl. In a small bowl whisk together flour, cocoa powder, baking powder and baking soda. Add the flour mixture to the wet ingredients in 3 parts. That is, first add 1/3rd of the flour mixture to the bean and prune puree, mix it well. Then add another 1/3rd and then the last 1/3rd of the flour mixture. Having some lumps is fine. I found that using a wire whisk to mix the batter worked well than using a spatula. The batter was in the consistency of pancake batter. Initially I felt that the quantity of the wet ingredients was way too much, but once I started mixing it to the flour I was relieved to find out that the proportions were getting right. Fill the muffin wells 2/3rds full, around 3 tablespoons of the batter. For the mini muffin tin, just use 1 tablespoon. I placed both the muffin tins in the same rack. The mini muffins were done by 9 minutes and the regular size muffins around 14 minutes. Oven temperatures may vary so check for doneness by inserting a toothpick in the center and it should come out clean. Cool in pan for 5 minutes. 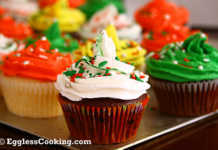 Slide a knife around the edges of the cupcake and invert the tin slowly. The cupcakes will fall down, cool them on a rack. Frosting is optional. For the prune puree I used 2 jars (2.5oz each) of Beech Nut’s baby food. Applesauce can also be instead of prune puree. Use unsweetened organic applesauce, like Nature’s Promise. Melted butter or any vegan butter substitute can be used in place of the canola oil. The original recipe called for soy margarine. I didn’t have cupcake liners at home, so I used vegetable shortening to grease the pans instead of coating it with non-stick cooking spray. I have noticed in the past that while using the latter, pans get grease stains which are very difficult to clean. I recently have found out that using 1/4 teaspoon of baking soda for each egg replaced gives the light and airy texture to the baked product. In this recipe I used 1/2 cup of prune puree to substitute 2 eggs, so I used 1/2 teaspoon baking soda in total. The result was vegan chocolate cupcakes with the spongy texture of the usual cupcakes. 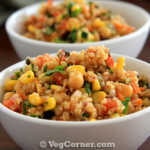 We can also control the sodium in the recipe by using low-sodium or no salt added canned beans. Or better soak dried beans and cook it ourselves without salt and add a pinch of salt to the flour mix, because salt enhances the flavor of any sweet dish. 1. Egg Replacement Event – Pureed Fruit hosted by me. 2. Baking for Beginners hosted by Vandana. 3. Santa’s Holiday Challenge hosted by JZ. Excellent! Perfect for children birthday cupcakes at school as it has none of the common allergens. Hi. What can I use to replace black beans? Thank you. I guess any other beans should work too. Madhuram, Please share the indian name for black beans. In Hindi? Even I don’t know and I Googled and it says Kaale Sem. 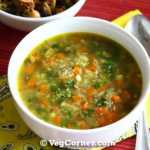 Can I use pur�ed banana instead of apple or prune sauce? I loved these cupcakes and want to know about how many calories are on these? Do you think I course use prune juice instead of the pur�e? That won’t work Nicole. Use applesauce instead. I love egg-less cake. Thanks for sharing. I have enjoyed this recipe so much – it is my go-to recipe for when I bring treats to my son’s school. (He had an egg allergy, which he is outgrowing, but other kids are allergic or vegan). None of the parents can believe this is a vegan recipe with black beans b/c it tastes so much like a traditional cake! Hi, love all your recipes just wanna know that what is canola oil and what can I use instead of it. Thanks Hinglaj. You can use any neutral flavor oil should be fine including sunflower, safflower, refined coconut oil. These are amazing! Delicious, and the texture is just like traditional cake! Thank you! LOVE these cupcakes! I am allergic to eggs and have the biggest sweet tooth! I stumbled upon this recipe last year and now I make them for almost every event that I need to bring a dessert! I’ve also made them for all the birthdays around here – the kids love them and they are so much healthier! Recently I added white chocolate chips and often I just add mini chocolate chips by themselves. So thankful for this website as a resource for my allergies! Thanks for the link Swarna. WOW WOW WOW! I expected these to be brick-like, but I was wrong! I made sure to puree the beans very well, and I ended up with a cupcake that was phenominal! I’m a mom of 3 boys, ages 5, 2, and 9 months, and a sneaking a little health food into a cupcake is fair game in my book! My 2-year old son is highly allergic to eggs, so I’m always looking for great eggless baked goods recipes, plus I’m a personal chef, and many of my clients are looking to increase their intake of healthy foods – like prunes and beans, but in a delicious way. Thanks for the compliments Kristi. I’m thinking I did something wrong–very wrong. Mine came out yucky! I could literally taste the black bean’s grainy-ish taste. Any ideas on what I could have done wrong? I really cooked those benas good…. Pate, I’m sorry that you didn’t get desirable result with the recipe. I think the grainy taste maybe because the black bean mixture was not blended enough and . I can’t think of anything else. can you make this like a cake in a 9 x 13 pan? I would think so Larry. I think it would be more like a brownie. My son’s first birthday is coming up and I need an eggless cupcake recipe…I’m thinking of using this one. The one thing is that in addition to an egg allergy he has a mild wheat allergy. I was thinking of using oat flour, will that work? I’ve never made him any kind of baked good before, so I haven’t yet started experimenting with wheat flour substitutions. Any thoughts? Hi Ana, I’m not sure if oat flour alone will work because it does not have gluten, so the cupcakes will not rise. I think addition of xanthan gum is required. I’m not familiar with gluten free baking. 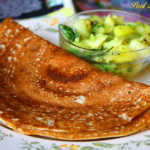 Check the following website which have gluten free recipes and try my egg substitution ideas in those recipes.